Discover the products developed by the SUSTAIN consortium. The SUSTAIN consortium is happy to share the fourth issue of our project newsletter. The newsletter can be accessed here (including useful links and an automatic translation tool) or a PDF version may be downloaded below. Please subscribe to our newsletter to automatically receive quarterly updates and insights about project activities and developments. 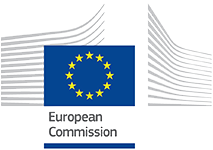 The SUSTAIN consortium is happy to share the second issue of our project newsletter. The newsletter can be accessed here (including useful links and an automatic translation tool) or a PDF version may be downloaded below. Please subscribe to our newsletter to automatically receive quarterly updates and insights about project activities and developments. We are glad to announce the second issue of our newsletter about the SUSTAIN-project. The newsletter can be accessed here (including useful links and an automatic translation tool) or a PDF version may be downloaded below. Please subscribe to our newsletter to automatically receive quarterly updates and insights about project activities and developments. We are very excited to introduce the first issue of our newsletter about the SUSTAIN-project. The newsletter can be accessed here (including useful links and an automatic translation tool) or a PDF version may be downloaded below. Please subscribe to our newsletter to automatically receive quartely updates and insights about project activities and developments. 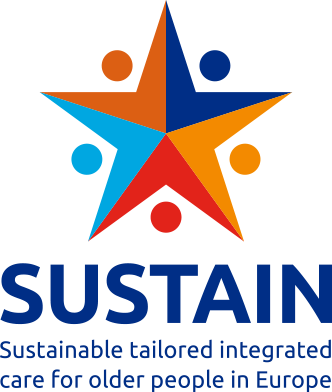 These leaflets provide information about the SUSTAIN project, targeted at the users of services provided by the different integrated care sites involved in SUSTAIN. The leaflets are available in different languages. These leaflets provide information about the SUSTAIN project, targeted at the professionals working at the different integrated care sites involved in SUSTAIN. The leaflets are available in different languages.